Sunday, April 22, 2018, Viet Nam Sach & Xanh, (Keep Vietnam Clean & Green) is hosting a Community Clean-up event: “Earth Day 2018” with the participation of Vietnam Youth Federation, American Chamber of Commerce in VietNam, the US Consulate, Heart of Darkness,… and 4,000 thousand people – expats and Vietnamese – in 5 cities and more- Ho Chi Minh City, Ha Noi, Hue, Hoi An, Phu Quoc. The event is to raise awareness about the litter & trash problems in Vietnam and to leave extensive positive impacts towards environment. 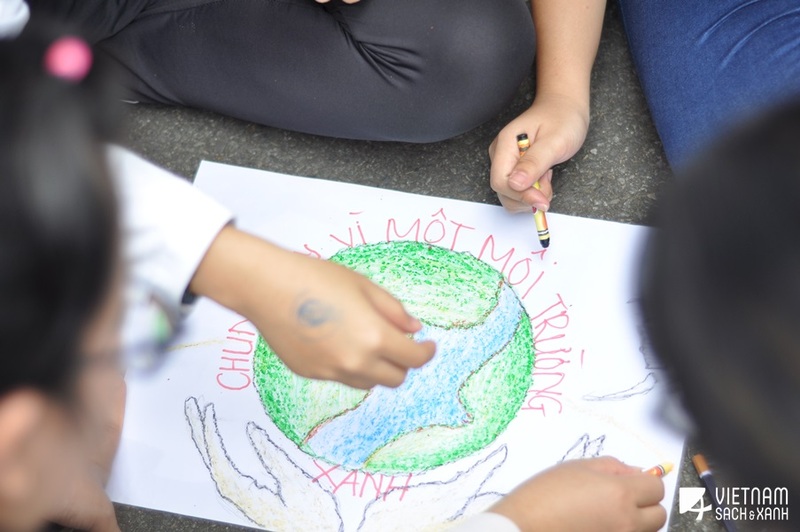 This year, in response to Earth Day Network’s global topic: “End plastic Pollution”, Viet Nam Sach & Xanh (Keep Vietnam Clean & Green) is giving out the theme “Live responsibly: Reduce Plastic Pollution”. With this message, we are in high hope that this is the beginning of the changing phases within Vietnamese community, starting with the smallest acts in their daily life like putting trash in the bin, learning to live green,… especially with the future generation of the country, towards a healthier and more sustainable living environment. District 2: Nguyen Van Huong Street, Thao Dien Street, Binh An Ward, areas near District 2 Committee. District 7: RMIT University, Kim Son Residence, around Lotte Mart and Nguyen Huu Tho Street. Within 2 hours on Sunday morning, with more than 4000 volunteers all over the countries, we have collected approximately 15 tones of trash, of which 12 tons are non-recyclable plastics and other garbage. Our goal is to cleaning up the local areas, together with raising public awareness about the negative impacts of littering and highlighting the importance of individual responsibility. 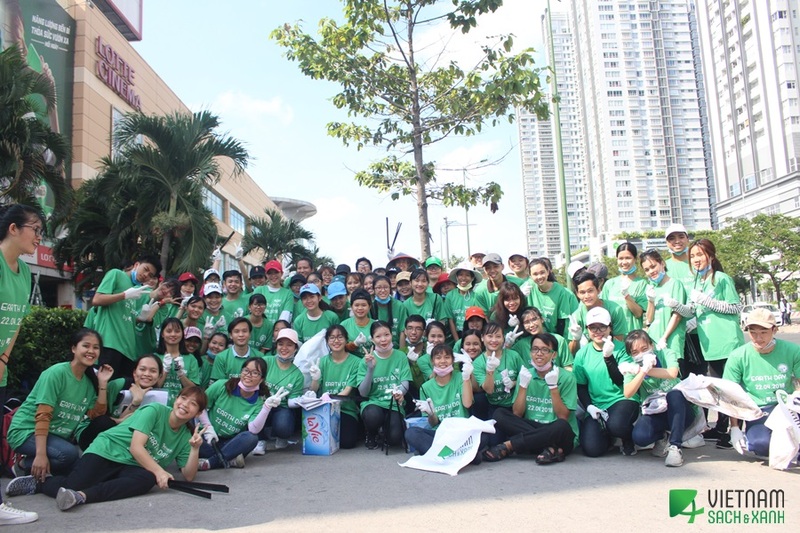 Viet Nam Sach & Xanh (Keep Vietnam Clean & Green) was established in 2013, starting with the program “Green Ribbon” encouraging people to make the commitment not to litter. 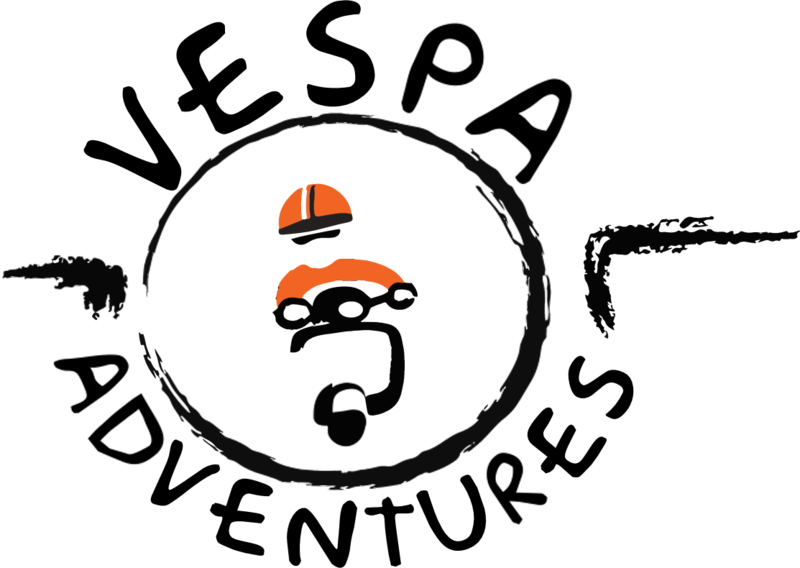 Only after 2 years, our activities have reached to over 66,000 people raging in all ages. 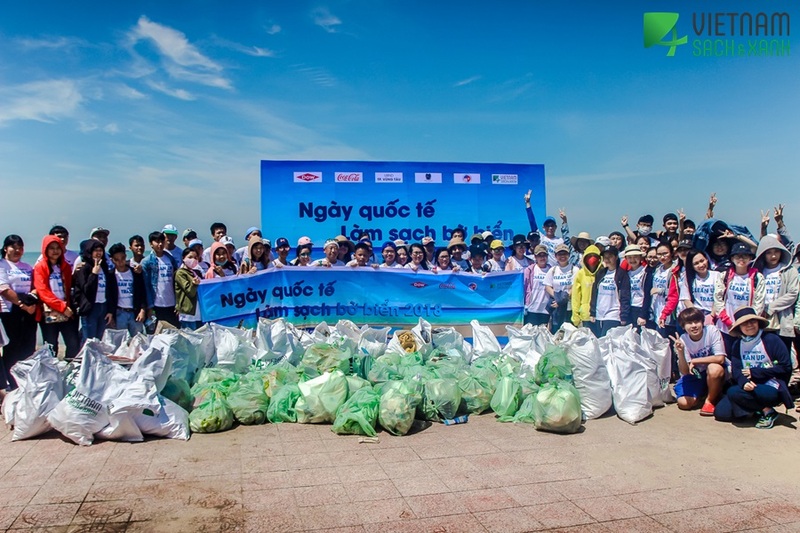 In April 2015, we started our second program the Community Clean Ups on Phu Quoc Island. 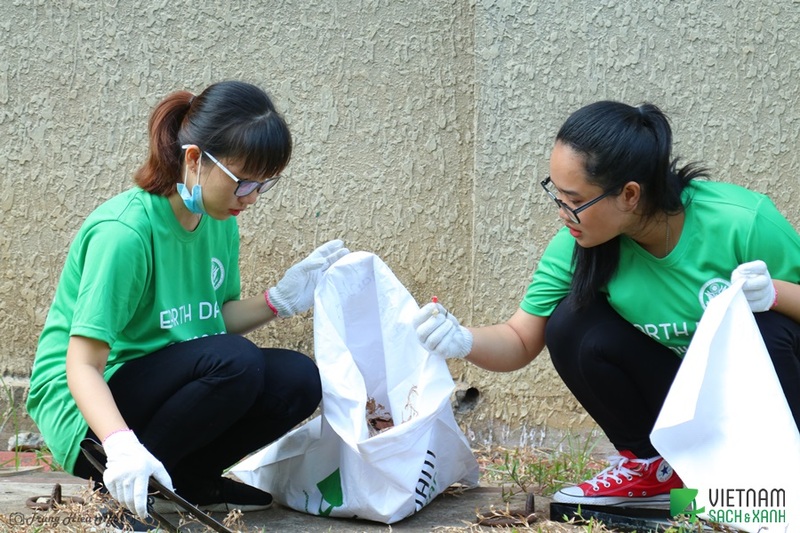 We have, since then, also organized clean ups in Hanoi, HCMC, Hoi An, Hue and Can Tho and have engaged over 50 organizations to join the clean ups. 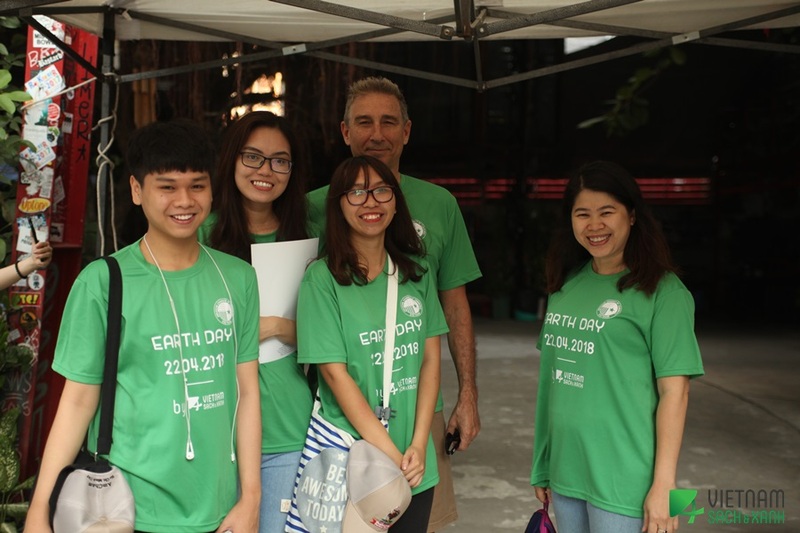 As a official member of Earth Day Network, Viet Nam Sach & Xanh (Keep Vietnam Clean & Green) is also the biggest established organization to host Earth Day Event in Vietnam. Our mission is to mitigate littering in Vietnam and to bring about momentous societal change by raising the awareness of the negative impacts of littering and highlighting the importance of individual responsibility. Since 2016, Earth Day Event has attracted over 6.000 volunteers and spreaded out message to over 400.000 people.